Happy New Year Foxy Friends! Sorry I have been MIA, unplanned blogging break, I don't even know what happened, one day I had all of these plans to blog during the break, and then said break happened and I didn't pick up my computer once. First I wanted to thank you for all of the support this past year. 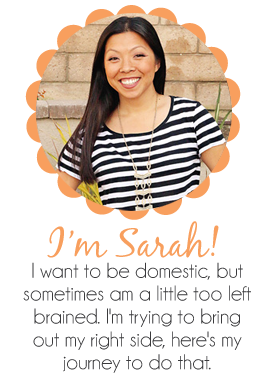 I love blogging and all of the friends I have made and all of the friends I will make in the future! Looking forward to what this year has in store for me! But I'm back and refreshed and ready to tackle the blogging world again. I'm linking up with the lovely Deena for another month of numbers, although this time it's just going to be since I last talked to you, so the last 10 days or so. First let's talk about something that didn't happen during the break, but is worthy to mention. 23 - The pounds the turkey was that we had for our second Thanksgiving, cause the first one, we just didn't get enough turkey, so we made another one...totally reasonable right? 0 - How much we paid to get into the Discovery Cube, thank you Jenny! The kids had an absolute blast and could not go down the slides enough! The slides kept getting steeper, loved that there was a slide for everyone. Mini Fox went down the first slide and then decided she didn't like it. But was more than happy to wait, strange kid she is. Luckily Mr. said he would go down this one with Baby Fox...I'm a big chicken. Met up with some friends who have passes, yay! I've known this girl since 7th grade. 11 - My whole family was at Christmas Eve Mass which made my heart happy. Not shown were the other 6 people there, forgot to take a picture, oops. 6 - How old Baby Fox turned on Christmas! Every year we decorate his door and he loves it every time. 32 - The number of people that came to our house for Christmas Dinner...okay that it sort of a lie, since one of them is only 2 months old and does no solid food eating yet. 17 - The number of pounds our Prime Rib was, and boy was it delicious! All salted and ready to go into the oven. 125 - The number of degrees, when you should take out roast, so that it when it continues to cook when out of oven it comes out perfect. Third times a charm, this is the third year I've made Prime Rib for Christmas dinner and the first time it's come out! It was perfection! 4 - The number of days my Brother-In-Law stayed with us during the break. He hasn't been here in a while and the kids were thrilled to see him and have him here for so many days. They keep asking when he's coming back. 20,000 - No I have no idea, but it was a lot! We went to LEGOLAND with my cousin and I have never seen it so crowded. But we were with family and the kids still had a blast. I love that even though the kids only got on two rides the whole day they had a blast and can't wait to go back. 64 - The temperature at an event called Chill...funny right? But at least the kids had a ton of fun, even if there were no ice sculpture s like there were last year...hoping enough people complained that they bring them back next year. 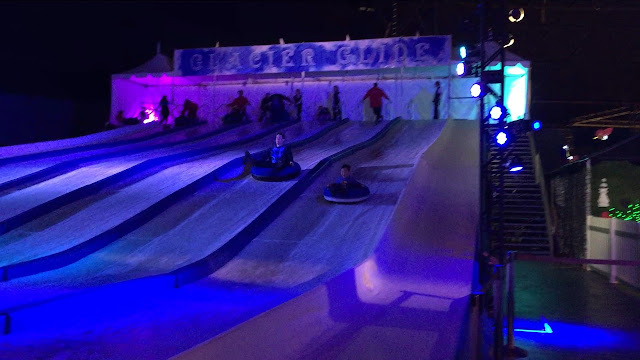 4 - The number of times Mr. and Baby Fox got to go down the slide at Chill (see above), we figure word got out there were no ice sculptures like the last 6 or so years and people weren't going? I don't know what it was, but there were no lines, which worked in our favor. 6 - The number of hours Mr. and I had on our day date, it was so much fun, that we didn't take any pictures. 3 - The number of people we had when Baby Fox spent the night at a friends house, so we took Mini Fox to her favorite Mexican place, because Baby Fox always complains when we go there. 4 - The number of hours Mr. and I spent cleaning out the kids room. We're still working on it, but that's for a different post. I took these after we had started, so it doesn't really convey how awful it was in there to start. 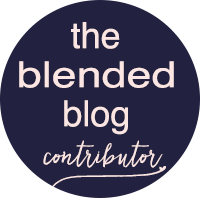 Post coming soon, The Blended Blog Ladies have something up our sleeves, let's get organized! 1 - New pair of glasses, much needed after I stepped on my spare pair. Going around with one pair is scary...no work would get done if I ever forgot them at home...what you can't see is the hot pink on the inside. 8 - The number of hours we were in the car in one day...yikes, that was a long trip! 4 - The number of times we did Happy New Years Cheers. The first time was on East Coast time with the kids, then one of the kids missed it, so we did it again, and then another kid wanted to see the ball drop since he was to busy cheering to watch it on tv. Thank you for playing East Coast New Years CNN. We are so happy we could celebrate with such good friends. And having an impromptu slumber party isn't too bad either, the kids were thrilled and everyone stayed safe. Plus we got the BEST Champaign EVER, Costco is where it is at. And then the adults made it to the real midnight as well, we were shocked we were all still awake. Happy Near Years Foxy Friends! So happy to have you along on this journey of mine. What this year holds I'm not sure, but I'm looking forward to where ever it takes us.